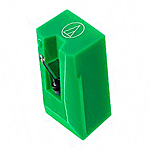 Stylus Profile: Elliptical Diamond, Tracking Force: 0.75 to 2.0 grams, Frequency Response: 10Hz to 30kHz, Channel Separation: 25dB at 1kHz, Colour: Green (may vary). 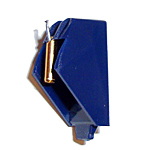 Stylus Profile: Extended Elliptical Diamond, Tracking Force: 0.75 to 2.0 grams, Frequency Response: 10Hz to 35kHz, Channel Separation: 30dB at 1kHz (upgrade for Sontra 500EN), Colour: Blue (may vary). Stylus Profile: Shibata Diamond, Tracking Force: 0.75 to 2.0 grams, Frequency Response: 10Hz to 45kHz, Channel Separation: 30dB at 1kHz (upgrade for Sontra 500EXN, 500EN), Colour: Transparent Yellow (may vary). 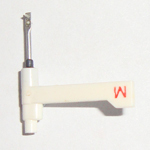 Stylus Profile: Spherical Diamond, Tracking Force: 1.0 to 2.5 grams, Frequency Response: 15Hz to 25kHz, Channel Separation: 20dB at 1kHz, Colour: White (may vary). 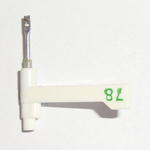 Stylus Profile: Spherical Diamond, Tracking Force: 3.5 to 5.0 grams, Colour: White (may vary).